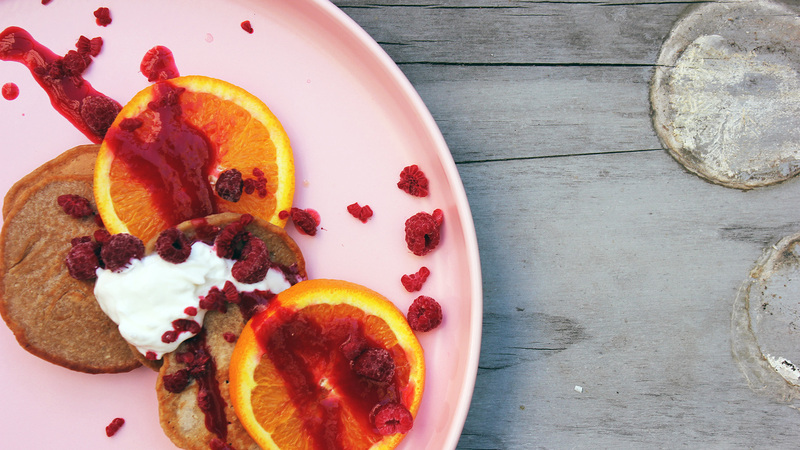 Indulge your tastebuds in these sweet and nutritious pancakes. 1. Add oats to your food processor and pulse until it forms a fine powder. Add a tiny pinch of salt, cinnamon and brown sugar and mix. 3. Heat coconut butter in a nonstick pan until melted and add one large spoonful of the mixture at a time. If your pan is big enough and you want to make mini pancakes, you can make two at a time. 4. Pile them on a plate and drizzle with pure maple syrup and top with fresh fruit.